Some of my regular readers may remember when David visited our farm early this spring. A few days ago we received an email from another Warm Showers traveler, Miguel from the northern region of Spain. Miguel arrived in New York in June and is planning to bicycle across the US to California, for starters. He has about 18 months leave from his job as a professional driver (buses, trucks and the like) in London to travel. Our Oklahoma summer heat has returned but Miguel rode from Ft Smith, Arkansas to our farm yesterday, which is quite a schlep in 100F degree heat. He stopped in our closest city, Tahlequah and had kind encounters with the residents who took photos and shared snacks, which was quite nice to hear. This morning Miguel took off again, his next Warm Showers stop is in Broken Arrow today, but he’s planning to ride north to the Osage Reservation later in the week. Then a week stay with a friend in Oklahoma City. We took a few moments in the cool morning to snap a few photos before Miguel journeyed forward. Miguel’s visit has reminded me again of how much I enjoy travelers. People who are willing to have adventures, meet new people from diverse cultures, and also do not mind spending quite a bit of time alone on the road. Generally they make for good guests, as Miguel proved. They are kind (Miguel arrived with a bottle of wine carried in his pannier! ), intelligent and curious. They ask questions and are good listeners. But they also share their stories and their culture. This is a joy for the host. We get a chance to learn about people’s lives and pursuits. Because America is so wide geographically, we jump in cars to go on a trip, especially here in the Midwest. But how often do we turn off the radio, get out of the car, and talk to the people at the local diner where we stopped for breakfast? Visit with a librarian, or the random person on the street? Traveling by bicycle brings the journey to a slower pace. A fully loaded bike, with panniers, sleeping role, and backpacks is quite a sight, and the rider is usually quite approachable. 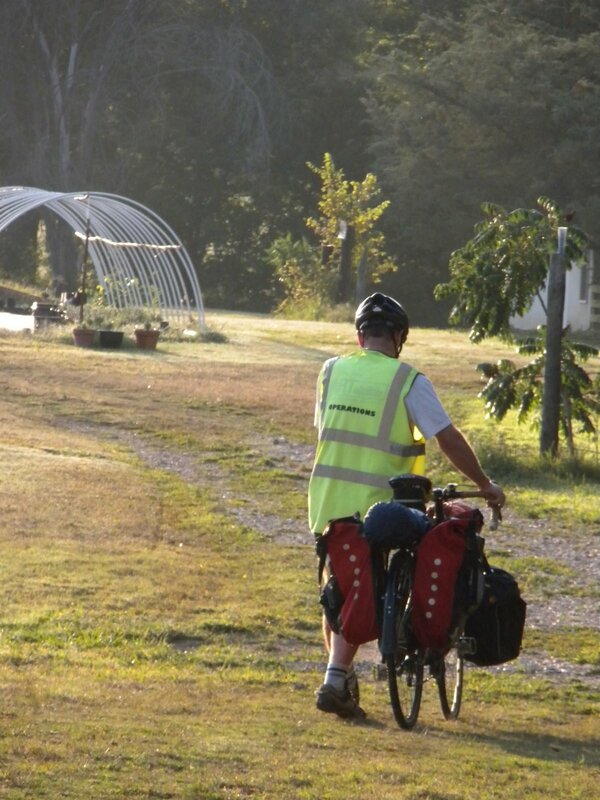 As when David visited, I’m again wishing we could hit the road on our tandem. But it isn’t the season for us to travel yet. Winter will be here soon I hope. 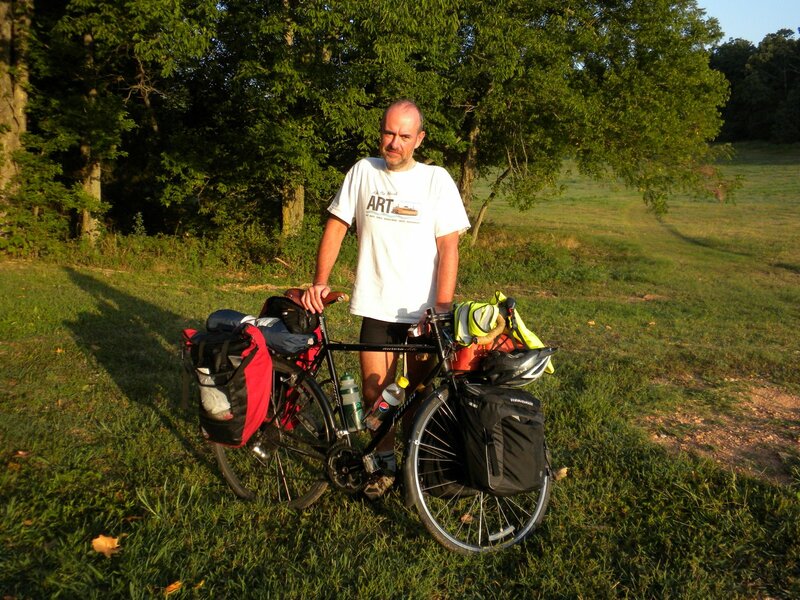 If you’d like to follow Miguel’s ride across the US, visit his blog at roadandblanket.